Fashion contributor Jacqueline of the Hourglass Files has taken us all over the place with her fashion game changers. She started with the origin of the white wedding dress, then Fortuny and his silk pleated Delphos gown, and Elsa Schiaperelli and her introduction of shoulder pads. And most recently, Christian Dior's New Look that turned the fashion world upside down. Today it's the paper dress. What? Yes, and let's see how she takes us from the paper dress to H&M and Zara. If the 1950s were a period of rebuilding for the haute couture industry and returning to very feminine clothing styles for women, the 1960s threw all of that out the window. 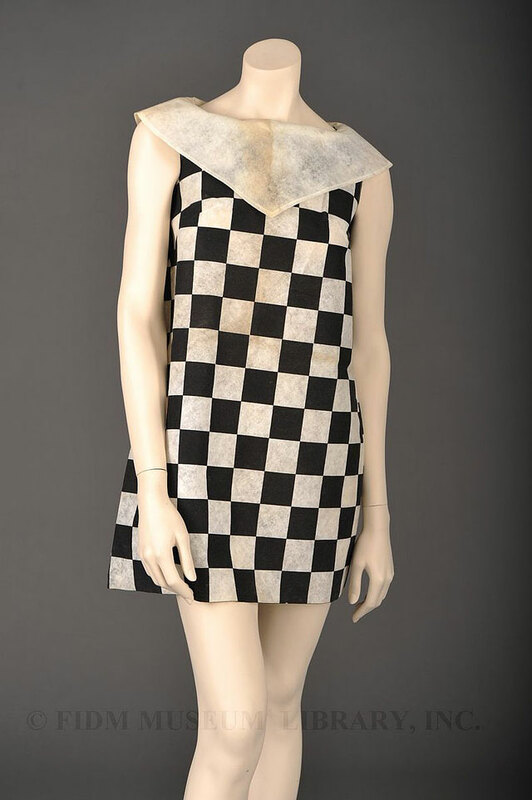 The 60s was a decade devoted to youth, and a shifting number of designers cared more about what young people thought, what they listened to, and what they wore above their more mature clientele's taste. The 1960s also saw the rise of disposable culture. Not only did they throw out the older generation's style, but they also threw out products when they were done with them. Disposable paper and plastic goods were introduced to the consumer market in large quantities. All this culminated in a crazy fad — the paper dress. Yes, you read that right. Dresses made of paper were made out of bonded cellulose fiber instead of woven or knit fabric. Picture something made of a very flexible, thick paper material, such as Tyvek, not a thin piece of paper you use in your computer's printer. The material wasn't particularly crisp, but it was definitely still paper. The first paper dresses were sold by the Scott Paper Company (now owned by Kimberly-Clark) in 1966. Its paper dress were a promotional tool available by mail for $1.25. Well-known designers followed suit, including Betsy Johnson for Paraphernalia and Zandra Rhodes for Miss Selfridge. Suddenly a fad was born, and young women wanted in on it. 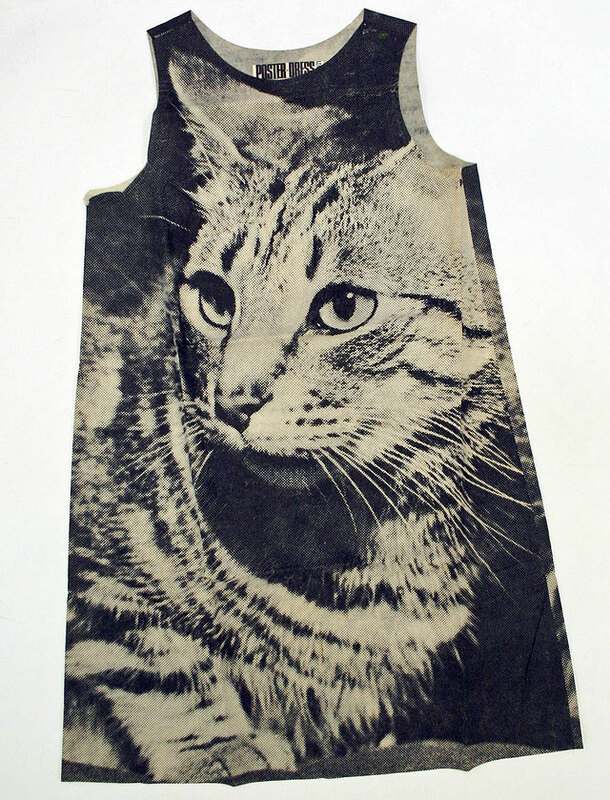 The paper dress was typically an A-line shift, and printed patterns were hot. 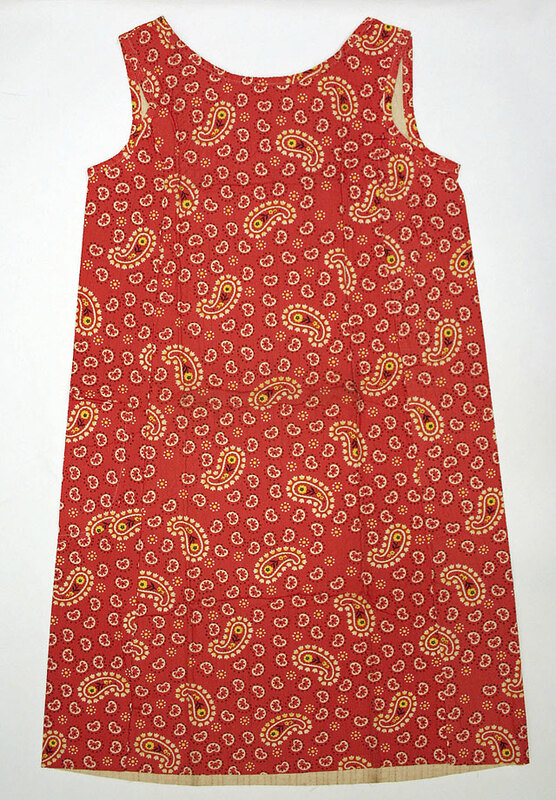 From psychedelic prints to op art to paisley, paper dresses were rarely tame. Newsprint patterns were popular. After Andy Warhol debuted his infamous painting 32 Soup Cans, a "Souper Dress" paper dress was created in 1966. Some paper dresses came plain in white or beige, and consumers were expected to decorate their own. The Emily Reynolds Historic Costume Collection at North Dakota State University owns a plain paper dress decorated by its owner for a surrealist party. She cut out pictures from magazines that referenced surrealism, attached a $1 bill, and even added three-dimensional, fringed paper eyelashes to trim a picture of an eye. Dresses weren't the only garments produced out of this paper material. During the time paper clothing was fashionable, swimsuits, underwear, bikinis, and suits were also produced. Paper clothes were generally worn only a couple of times. Some manufacturers claimed that their dresses could be washed, but that was rarely true. As is expected with any fad, paper clothes did not last for long. By 1968, they had lost their appeal and faded from production. However, the notion of disposable fashion remained. Before the 1960s, few people would have ever purchased a garment with the intention of only a few uses. But after the paper dress, that concept was no longer foreign to the masses. It reigns today, in fast-fashion stores like Forever 21, H&M, and Target. Disposable fashion - how many of-the-moment animal print shirts or neon scarves have you bought and worn maybe once or twice and then given away? Or cheap statement jewelry for one event or holiday season? Yup, that's been me at times. I've lived in a few Victorian homes and marveled at the lack of closet space - they certainly had smaller wardrobes AND reused/redesigned what they had. Here's more on the idea of living with less from Erin Loechner who explored the slow fashion movement and the "stuff we have". We seem to be living with a dichotomous relationship to fashion and things that we own: less is more AND more, more, more. Pinterest wouldn't survive without it, eh? How about you - are you on the "less is more" bandwagon or do you succumb to the disposable too?